For more complete information on these products and their capabilities, contact Radtec. 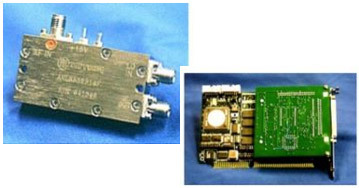 RF noise, the single most important factor in providing receiver sensitivity, is reduced to the lowest practical level in this design- at an affordable price. The Radtec signal processor provides high quality, basic Doppler signal processing capabilities at an affordable price. 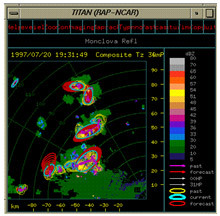 TITAN is available from the NCAR (National Center for Atmospheric Research) RAP (Research Applications Program) office. TITAN is currently available at nominal cost for educational, research and non-profit/non-commercial usage.